Welcome to Julie Murphy's Driving School. 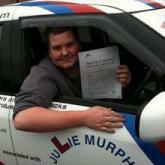 Driving lessons in Swindon, Chippenham, Gloucester, Cirencester & surrounding areas. 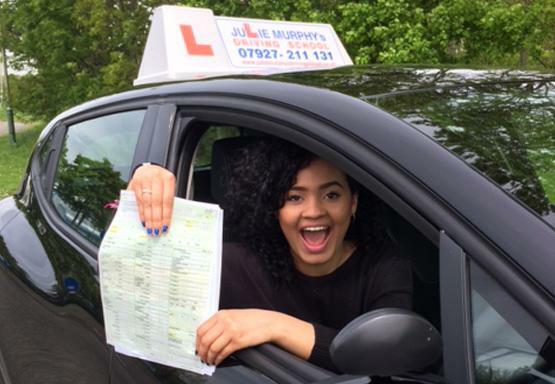 Learn to drive with ADI qualified, friendly female and male driving instructors. Our driving school has highly recommended driving instructors, offering quality driving lessons to learners and new drivers. 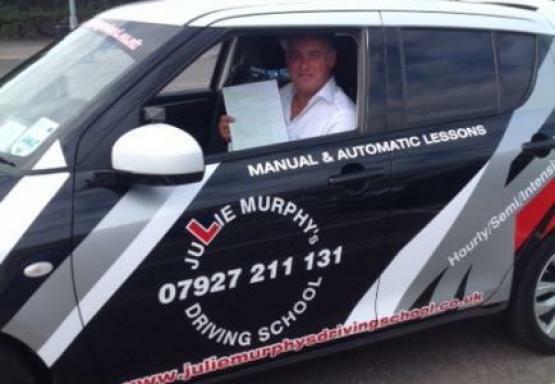 About Julie Murphy's Driving School. 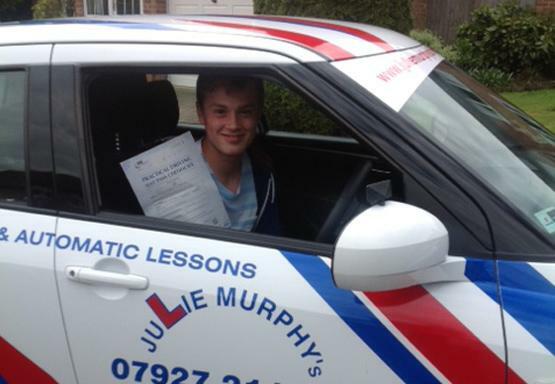 We pride ourselves with a great reputation as we strive to provide high quality, good value for money driving lessons. 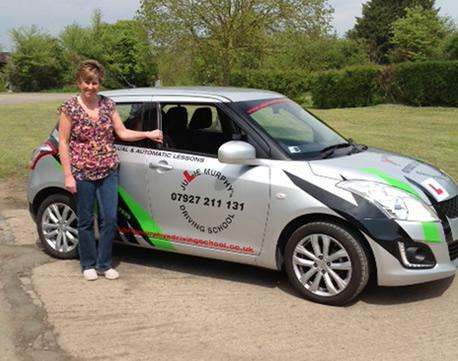 We have great male and female driving instructors in Swindon, Chippenham and surrounding areas of Wiltshire with over 25 years experience. 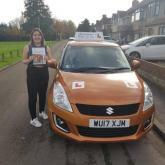 We offer driving lessons to those under 17 wanting to gain some experience before starting their on the road lessons, complete beginners for on the road driving lessons, refresher driving lessons, those looking to re-build confidence, or qualified drivers wanting to become a driving instructor or are already a qualified ADI wanting training for Standards Check Test. Driving lessons for learners, manual and automatic driving lessons, intensive driving courses, pass plus, & young driver under 17 courses. Show me tell me questions, theory test practice, hazard perception practice, practical driving test & more. We receive lots of kind feedback from our driving pupils. Have a look and see how successful we are. 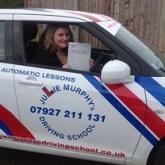 Julie Murphy's Driving School offers Driving Instructor training and Standards Check Test Training and courses in Wiltshire and surrounding areas, and Driving Instructor Jobs. For new and existing driving school students. 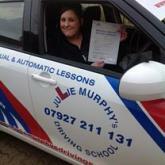 Julie Murphy's Driving School has special offers for new and existing driving pupils. 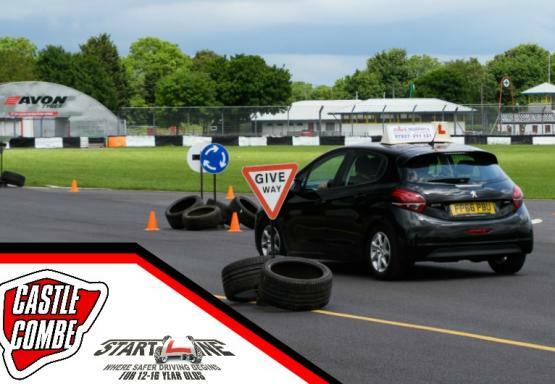 If you are a new pupil, you will receive up to 3 free driving lessons (subject to availability), free access to an online driving theory test practice package and also some great block booking discounts too. If you have any questions about our driving lessons, driving instructors or if we can help in any way, please visit our contact us page. Alternatively, you can book your first driving lesson online.